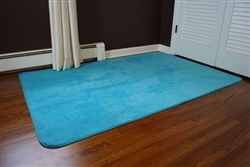 While we don’t recommend sleeping on the floor, this Microfiber Dorm Rug - Aqua is so soft that you might just be tempted to! After a long day of classes, come back, kick off those shoes and enjoy a little foot massage with each step. It’s comforting to know you’ll be walking across a rug made of soft fabric, not reused plastic bottles. 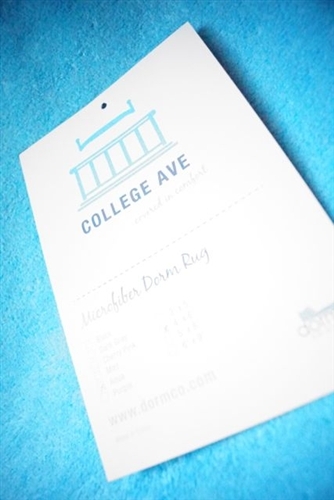 While we support recycling, our microfiber cheap dorm rugs aren’t made of such poor-quality materials, even though they’re still very affordable. 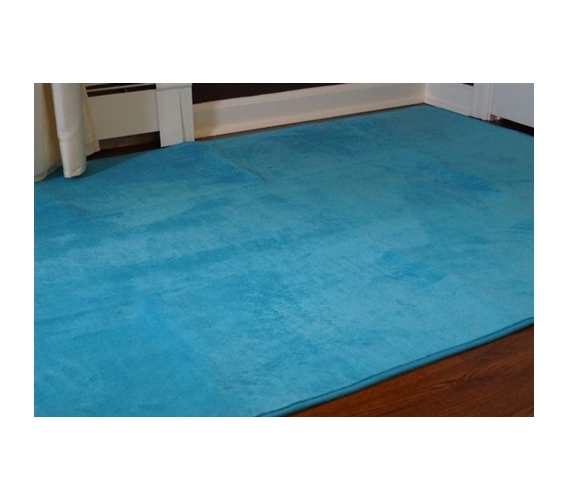 Beyond making your floor more foot-friendly, this rug’s pretty aqua hue will add a touch of color and personality to your dorm decor. You’ll face a lot of stressors in the classroom, so it’s important that your dorm room items give off a calming and welcoming vibe. In fact, this rug makes a nice little interior welcome mat. And with four different sizes, it’ll fit well over any floor space. A dorm rug makes a comfy addition to your dorm room and it also enhances dorm decor!